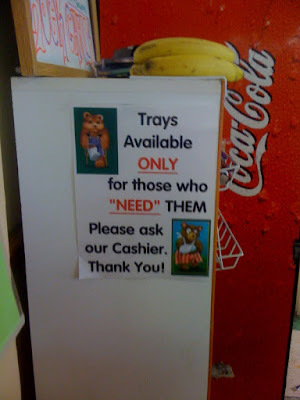 So it sounds like those who truly NEED a tray are out of luck...? Sounds like a very judgemental cashier. If those pictures are the standard, i wanna know how does someone on cruthes use a tray anyway? WV: mistouck-- i think this sign is an example of one.